• Produces up to one percent more cheese over the market-leading coagulant without compromising whey quality. • Faster and more precise production. • Processes more milk and cheese in less time. • Better slicing and grating of cheese with reduced giveaways and controlled protein breakdown over time. Click to EnlargeCHY-MAX Supreme is the third generation of the CHY-MAX fermentation-produced chymosin (FPC) range of coagulants and a result of five years of intensive research. “We understand the challenges of modern cheesemakers who are under pressure to generate maximum value, increase flexibility and meet customer demand for better functionality and convenient cheese formats,” says Soeren Herskind, Vice President, Commercial Development at Chr. Hansen. “To accommodate those needs, we are delighted to bring our newest innovation to the market,” he adds. CHY-MAX Supreme maximizes value by allowing the cheesemaker to produce considerably more cheese out of the same amount of milk. A 1 percent yield increase of global cheese production equates to more than 220 million kilograms more cheese without more milk required. That is enough to satisfy the yearly cheese consumption of 15 million US consumers, for example. “With a small but crucial change to our renowned CHY-MAX enzyme, we are making a big difference across cheese production and functionality for Cheddar, Continental or Pasta Filata/Mozzarella cheese types,” Herskind says. 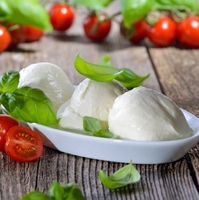 He confirms to FoodIngredientsFirst that trials for application in a variety of different cheese types are ongoing and early adopters have taken the ingredient on board. “CHY-MAX Supreme is already in use on the market. Two of our trial customers have already seen the value of this effective coagulant and are using it in their production today,” Herskind comments. CHY-MAX Supreme is approved for use in the largest cheese-producing countries. “Approval is still pending (and expected) in Denmark, France, Mexico, Ukraine, Russia, Canada, Japan and Korea. We have initiated the process for having the enzyme approved in these countries but depending on the country it may take a few months to a few years,” Herskind notes. Chr. Hansen, which recently gained recognition by Corporate Knights as “the world’s most sustainable company” is also positioning the product on a sustainability platform. The ingredient enables customers to reduce their environmental footprint and go hand in hand with an increased focus on sustainability. Chr. Hansen notes that as well as offering ingredients, partnering with the company also helps in terms of applications knowledge sharing. The ingredient launch came as Chr. Hansen reported solid organic revenue growth of 9 percent in the first half of 2018/19, with CHY-MAX Supreme specifically noted as “ truly innovative enzyme which raises the bar for what cheesemakers can expect from coagulants” in the Food Cultures & Enzymes portfolio. By division, the breakdown was as follows: Food Cultures & Enzymes (10 percent), Health & Nutrition (11 percent) and Natural Colors (5 percent). EBIT before special items increased by 10 percent to €150 million, corresponding to an EBIT margin before special items of 27 percent up 0.8 percent-point compared to last year. In Q2, organic growth was 8 percent, and EBIT before special items increased by 11 percent. The overall outlook for 2018/19 remains unchanged at 9-11 percent organic growth. It also emerged this week that Chr. Hansen and Lonza AG had signed an agreement to establish a 50/50 joint venture in the LBPs industry and position themselves as the leading contract development and manufacturing partner (CDMO) for biotech and pharma customers. The move will not change the nutrition & health focus at the Danish-headquartered company, however, with the JV not operating in the supplements or the probiotics/OTC domain. The focus will be on pharma-grade/GMP with defined strains. Our sister website NutritionInsight has taken a detailed look at the strategy behind the JV. Innovation within the food cultures & enzymes space is ongoing, Herskind confirms, with several innovations in the pipeline for the spring and a few more to follow in autumn. “Innovation is really at the core of what we do at Chr. Hansen and helps us meet our customer’s needs for both industry drivers which require things like increased yield, reduced risk, and more flexibility, as well as consumer demands which are always growing and changing,” he says. “We keep a constant eye on what our customers’ challenges and opportunities are and innovation solutions to help them best navigate the challenges and leverage the opportunities,” Herskind concludes. Chr. Hansen is a global bioscience company that develops natural ingredient solutions for the food, nutritional, pharmaceutical and agricultural industries. The products include cultures, enzymes, probiotics and natural colors, and all solutions are based on strong research and development competencies coupled with significant technology investments. The company holds a leading market position in all its divisions: Cultures & Enzymes, Health & Nutrition and Natural Colors. It has more than 2,500 dedicated employees in over 30 countries and main production facilities in Denmark, France, USA and Germany. Chr. Hansen was founded in 1874 and is listed on NASDAQ OMX Copenhagen.